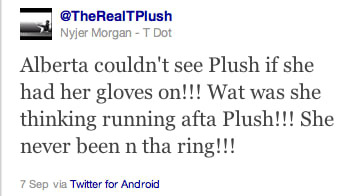 We fucks with T dot Plush, but our money is on The Machine. Albert Pujols shits Nyjer Morgans before breakfast; the tobacco chew toss was a nice touch, though. AHHHHHHHHHHH.